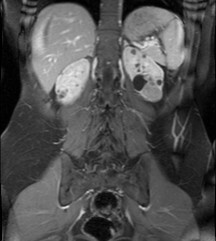 The Bath Radiology Group offers a full range of tests to image the urinary tract. The majority of the Bath Radiology Consultants are able to undertake urological imaging. We work closely with local consultant urologists to ensure that patients receive the most suitable test for their particular needs. Simon Malthouse, Toby Hall and Dominic Fay participate in the Urology multidisciplinary team to discuss the Radiological findings for patients with genitourinary conditions with clinicians at the weekly team meetings. Dominic Fay, John Hardman and Andrea Phillips are also able to provide specialist expertise in Genitourinary Intervention. Ultrasound scanning is an excellent technique for the examination of the kidneys and can also give useful information regarding the bladder. 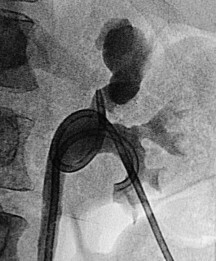 It is often performed in conjunction with an assessment of urinary flow rate and bladder emptying. 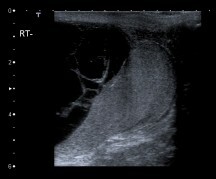 In men, ultrasound is often used in the diagnosis of testicular conditions and can reliably detect testicular cancer. 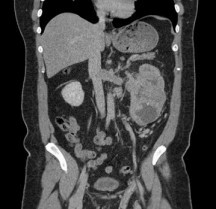 X-ray examinations still have a useful role to play in follow up of kidney stones, although CT examinations are often used too. Ultrasound and CT are both used to guide biopsies, obtaining specimens for laboratory examination. We also offer percutaneous nephrostomy, antegrade ureteric stenting, percutaneous renal stone treatment (PCNL), renal artery stenting and renal embolization.